I was trying to change see what plan i was in, and found this, but it does not make sense. @iamsammajor If you're already contracted then you don't get Prime TV for free - it is listed under addons for a special rate instead. For those (like me) out of contract we had an option to renew our contract for 1yr of free Prime TV however don't get the $200 joining credit you would have got. Yeah I guess that make sense for not able to get both, I think I will stick with my current plan with Netflix. However I am experiencing significant speed drop from 7-9ish pm, and do wonder whether that has something to do with the pic I attached above. There doesn't seem to be anything confusing about those 2 plans. It says that you are currently getting 100/20 speeds. And the more expensive plan gives you gigabit speeds. Aredwood: There doesn't seem to be anything confusing about those 2 plans. It says that you are currently getting 100/20 speeds. And the more expensive plan gives you gigabit speeds. it says im on Unlimited Ultimate plan on top, then on under than it states my current plan is Unlimited Ultra-fast fibre. they are not aligned. I finally got my email saying that my prime was ready and clicked through but it said the email had expired. So I contacted 2 degrees by phone and it was all sorted. But as importantly apparently there is a glitch on the website. I was open plan 100M Unlimited so signed up to commit to that for 12 Months to get the free Prime. 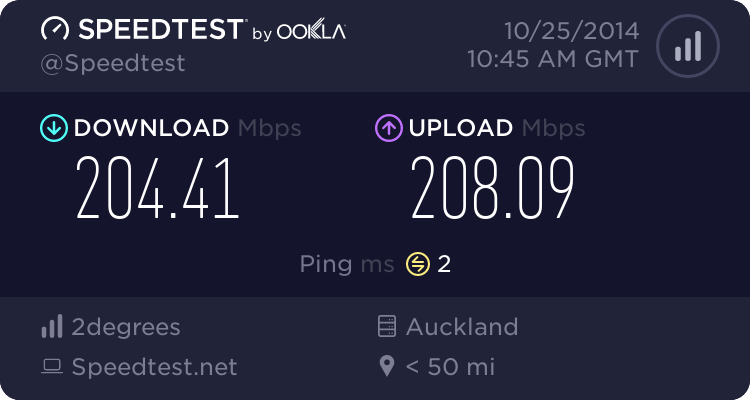 However, apparently a "glitch" in the site caused me to be signed up to Gigabit Unlimited (the rep I spoke said I was the second person he had dealt with on this) and fair call to the customer rep- he was the one that picked up on it and brought it to my attention and he is sorting it out to remain on my current speed. You may want to give them a call ! Indeed, it seems this is what was happening in my situation too. I was being lined up for a change to the gigabit plan - which is not what I wanted, or knew was happening. I'm afraid it's taken several calls and lot of being on hold to get it fixed.... but fixed it is - have just received the link email. Just as a follow up, I just got my Amazon Prime email to activate my subscription. Only took over 4 days. Not sure why it took that long, but happy I eventually got it without having to pester anyone at a call centre. Thank you for telling us about the gigabit glitch. Phoned 2degrees about it this evening. I was affected but 2degrees fixed up my account earlier today. I'm now on track for receiving the Amazon Prime Video offer. Yeah, mine is the same. Since I am paying $110 and actually getting gigabit, I guess it doesn't matter. I am experience huge drop during peak hours tho. Is yours behaving? I took up the 2degrees Amazon Prime offer this week - it came through within an hour. Very happy with 2degrees on this. If you're an existing customer and near the end of your contract then I recommend that you contact them as they'll work in a good renewal offer if you ask. Does anyone have the 2Degrees Prime video subscription working on a Fire TV? I have a Fire TV 4K configured to dns4me and since I activated the 2Degrees Prime Video offer, I have lost all listings of Prime Video content other than a tile for Grand Tour. And when I try to play that, I get an error code 5505 - to do with country settings. I've tried various combinations of setting NZ & US addresses in my Amazon account and selecting/deselecting the Amazon Video service in dns4me, but to no avail. I have cancelled my Amazon Prime Video offer through 2degrees and am continuing my US-dollar based Prime Video subscription available to all New Zealanders. I have confirmed with 2degrees support (with a double check on the validity of their internal knowledge base article) that a Twitch Prime subscription is NOT included in the 2degrees/Amazon offer. Specifically this Twitch Prime linking does NOT appear to apply https://help.twitch.tv/s/article/twitch-prime-guide?language=en_US#option3: "If you are already a Prime Video member who DOES NOT live in the US, Mexico, Canada, Italy, France, Germany, Belgium, Austria, Spain, Japan, Singapore, Netherlands, United Kingdom or Australia you obtain Twitch Prime at no additional cost by connecting your Prime Video account to your Twitch account." For the short time I've been freely subscribed to Twitch Prime I've been able to add 23 games to my account including Dear Esther, Hotline Miami, Hotline Miami 2 and Republique. It's an excellent monthly bonus. 2degrees have resolved the issue in a manner where I am more than happy to continue paying for Amazon Prime Video separately. Thank you 2degrees!